Economy flooring encompasses all value grade terms: cabin, tavern, character, #3 common grades or factory seconds. Economy flooring, however, does not pertain directly to quality. Rather, hardwood given a “cabin” or “character” grade has more natural marks than higher “clear” or “select” flooring. Grades, additionally, vary with the type of flooring sold. Although all manufacturers offer some kind of economy flooring, character grade unfinished and prefinished hardwoods are different products. Economy flooring encompasses all value grade terms: cabin, tavern, character, #3 common grades or factory seconds. Economy flooring, however, does not pertain directly to quality. Rather, hardwood given a "cabin" or "character" grade has more natural marks than higher "clear" or "select" flooring. Grades, additionally, vary with the type of flooring sold. Although all manufacturers offer some kind of economy flooring, character grade unfinished and prefinished hardwoods are different products. The Timberland™ Collection from Bruce Hardwoods and Hartco and Robbins lines by Armstrong are some of the better-known economy flooring products. 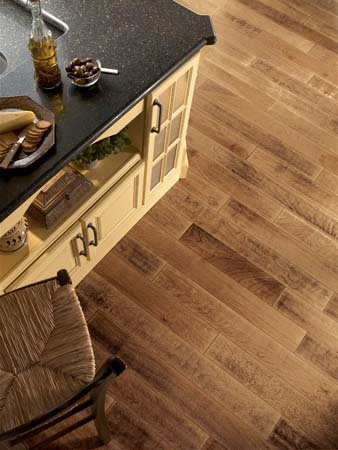 #3 common flooring, however, is rarely sold from retailers and varies with the hardwood the manufacturer has available. A distributor, such as Hurst Hardwoods, may receive a list from a mill of which types of flooring are available as economy flooring each month. In terms of appearance, economy flooring is characterized by a larger amount of knots and mineral streaks and more color variety. Such #3 common flooring may be flecked with other shades, such as black or greens, not found in higher-grade hardwood. Poor milling may also get hardwood labeled as "economy flooring," however. Features can include voids on bottoms, tree bark edges, and missing tongues and may cause installation products. Without square edges, the boards may not fit together, and the surface of your floor may be uneven. Rather than following National Wood Flooring Association (NWFA) standards, prefinished grading, in general, is more of a descriptive name. "Character" and "cabin" grades for prefinished flooring, as a result, vary. The former is used for a product intentionally distressed by the manufacturer. Although character prefinished flooring has knots and streaks, the additional distressing increases the price. "Cabin" or "tavern" grade prefinished flooring, however, has the same qualities as unfinished #3 common flooring. This flooring may, in fact, be graded as unfinished hardwood, and the finish is later applied. This is not always the case, and finished hardwood that does not meet the manufacturer's standards will also be given a "#3 common" label and sold as economy flooring. Economy flooring has certain advantages. The cost per foot may be 50-percent less than the manufacturer's standard prices, for example. For installation, however, economy flooring does not come with a warranty, and because of irregularities, more than one box, or at least 10 percent more, of hardwood needs to be purchased.